Did you know that June is Dairy Month? Dairy product are more than just milk and eggs. Head to your local Safeway store and you’ll discover hundreds of products in their dairy section that you can use to cook, bake, and enjoy. If you shop at a Safeway store, make sure you pick up a Safeway affiliate card. I’ve been a Safeway shopper for years and having my Safeway card has saved me hundreds, if not thousands of dollars over the course of my shopping trips. Each time I swipe me card, I see all of the savings during checkout. This month, in honor of June Dairy Month, Safeway is bringing you a very special treat with #JuneDairyMovies. Check out with $40 worth of qualify dairy products from Safeway, and you will receive a special voucher to receive two free movie tickets to see the new Ice Age movie! When you’re shopping, keep an eye out for the special “Dairy Month” stickers so you know which products qualify and which don’t. 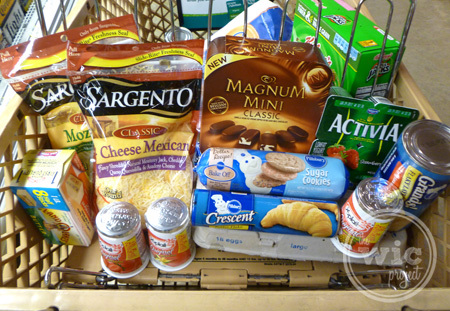 After our recent shopping trip, we picked up several dairy items which we used to make an easy and tasty meal. We’re a busy household, so I’m always looking for recipes that can be prepared quickly and makes something that everyone will enjoy – especially picket eaters! 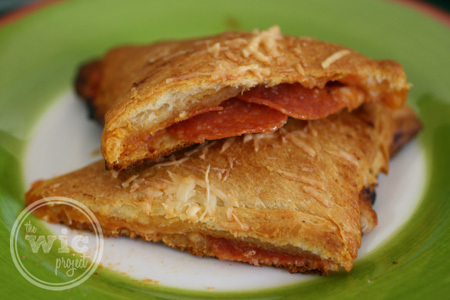 After browsing a few sites, I decided to make home made pizza pockets. You can find a bunch of easy-to-cook meals at www.easyhomemeals.com and the Easy Home Meals Facebook page. Unroll dough on cookie sheet and separate into 4 rectangles; press each into 6x4-inch rectangle, firmly pressing perforations to seal. 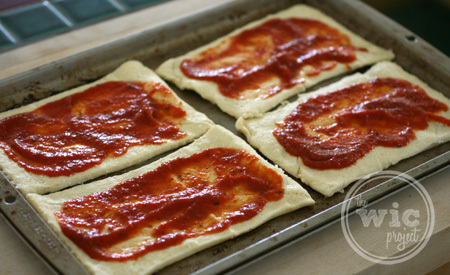 Spread 1 tablespoon pizza sauce on half of each rectangle to within 1 inch of edge. 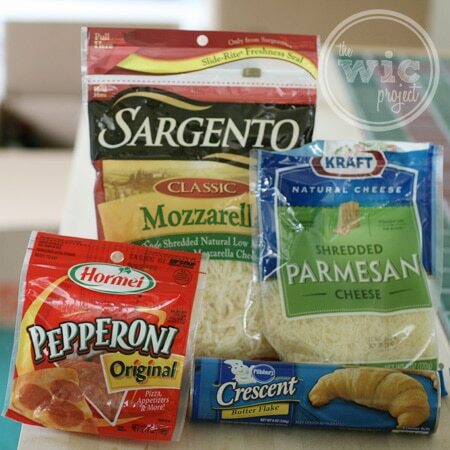 Sprinkle each with 3 tablespoons cheese; top with 6 slices pepperoni. 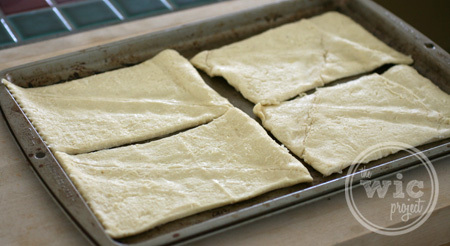 Fold dough diagonally over filling; firmly press edges with fork to seal. 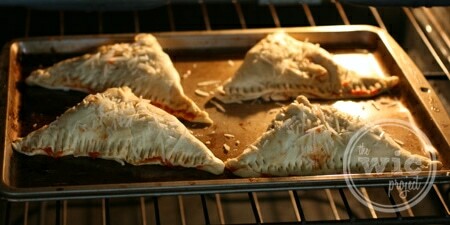 Sprinkle each triangle with ¼ teaspoon grated cheese. With fork, prick top of each to allow steam to escape. Then, unroll the crescent rolls onto a sheet and separate them into the 4 rectangles, sealing the edges so that they’re solid rectangle. We then spread on the pizza sauce. The recipe calls for 1 tablespoon per pocket but I think I might add a little more next time. 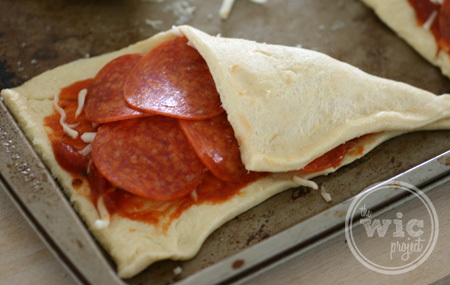 Then sprinkle with cheese and top with pepperoni. I’ll be adding more pepperoni next time. You can also use ham, sausage, or even chicken if you want. Then sealing the long edge and the seam where the two sides meet. You can pinch or use a fork. 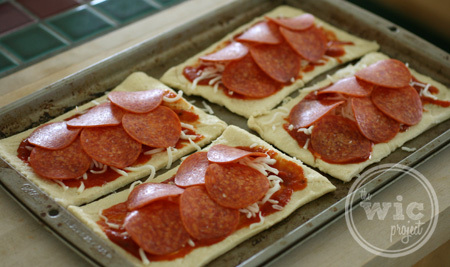 Once those are folded, pop them into the oven. 13-15 minutes later (when the pockets are a nice golden brown,) take them out and enjoy! 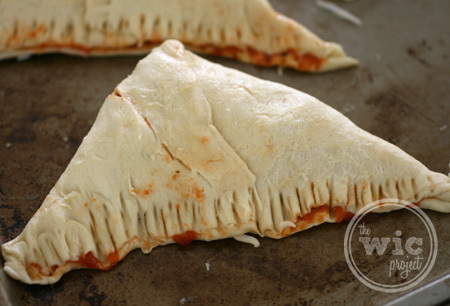 I thought these Pizza Pockets were DELICIOUS. I loved how easy they were to make and everyone thought they were delicious. Now that I’ve baked them up once, I can see that there are a lot of ways we can customize them – maybe even letting each person pick their own fillings! This could be a great dinnertime activity to do with the kids too resulting in a dinner or lunch that everyone will enjoy. Stay tuned for our next post where we share our baking experience with Mock Lemon Meringue Bars using more products from Safeway’s June Dairy Month celebration. Yum! 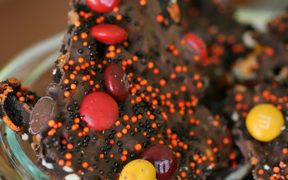 These are always a big hit at my house! Mmm… those look good! I was impressed with how many product qualified for the promotion. I hope many people take advantage of it. Those look really good. My whole family would love eating those. Yum! I love your idea to customize them for different tastes. My granddaughters would love these and they can help make them. What a great idea. Thank you. What a delicious and simple idea! I watch my friends’ kids quite often and am always looking for new ways to satisfy their big appetites. This is a great idea. 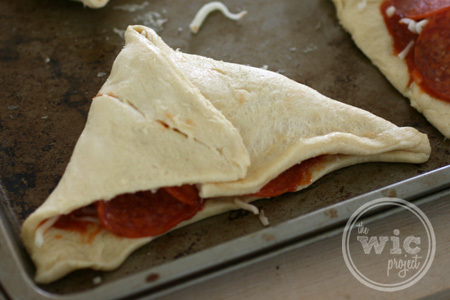 These look delicious and easy to make. Not sure if my little one would like pepperoni I’m sure I could figure out something else to up in there.